Seat UK has appointed Peter McDonald as Head of Fleet, starting in January 2014. Peter moves to the role having been Head of Planning for Seat UK since 2009. Peter's first taste of the Volkswagen Group came when he accepted a six-month internship during the final year of his studies, joining the company at its head office in Wolfsburg. After heading back to Australia to complete his degree and pursue post-graduate studies, he was quickly offered a return to Volkswagen, this time in the UK. The company offered Peter a full-time role in its newly-established luxury cars project - Phaeton and Touareg. 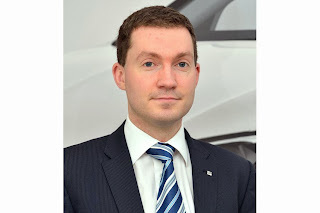 When that was complete, Peter took up various planning roles both with the Volkswagen brand and VW Group Services, before an opportunity to work in China presented itself; Peter accepted the Head of Planning role for Volkswagen China, in Shanghai. Just over two years later, in 2009, he returned to the UK to establish the Planning department at Seat. "The Seat Planning team that I'm leaving is an exceptional one, and I'll certainly miss working in the department that I established four years ago, but this fleet role is a hugely exciting challenge for me," said Peter. "It's a great time to be at Seat. We have a fantastic range of products, spearheaded by new Leon, which gives us a great opportunity to expand significantly in the fleet market over the next few years." Seat UK Director Neil Williamson adds, "We're delighted to have appointed Peter to the Head of Fleet role at this pivotal time for Seat UK. With his wealth of experience both with Seat and across other Volkswagen Group brands, there's no doubt that Peter is the right man to bring that success. I wish him the same sort of luck that his cricket team is enjoying at the moment."